The waters of the Adriatic Sea are home to some of the most pristine and exclusive yachting destinations in the world. Its eastern coastline provides all the allure of the more-traveled Mediterranean destinations, but with fewer crowds and the added intrigue of fascinating medieval history. As you cruise along the rugged coastline, you’ll have your choice of unspoiled beaches and charming coastal villages to explore. With a mix of ancient medieval castles, breathtaking shorelines, and stunning Balkan landscapes, this region offers an array of local tastes, sights, and experiences you won’t soon forget. 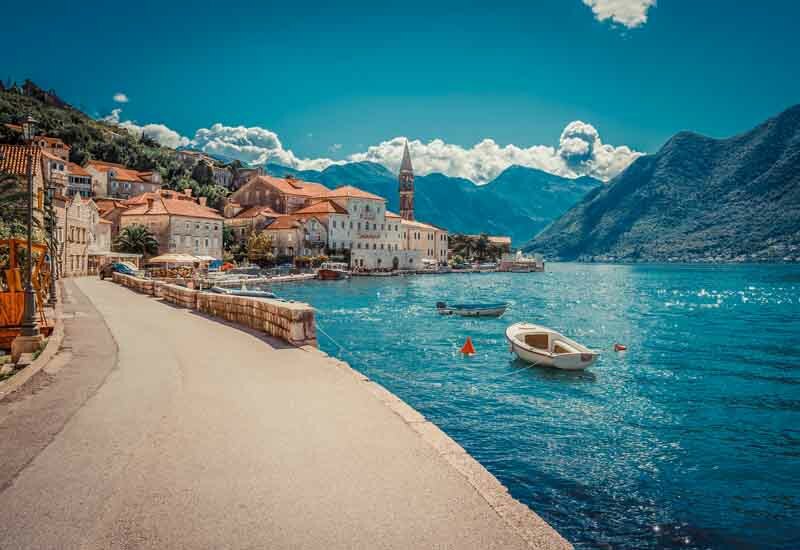 This suggested itinerary begins in Montenegro, an up-and-coming yacht destination that’s quickly gaining popularity among jet-set travelers and yachting enthusiasts from around the world. But beyond this affluent scene, the charming town remains welcoming and friendly, with rustic villages built into the steep landscape, blissfully quiet beaches, and local spots where you can sample traditional food and enjoy the nightlife. 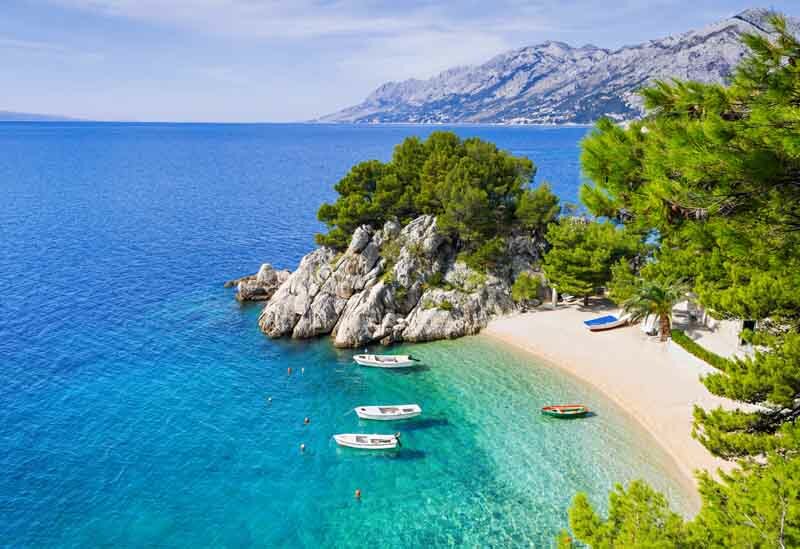 Croatia is surrounded by countless isles and crystal-clear, sapphire-emerald waters, while its dramatic coastline offers jagged mountains, river canyons, waterfalls, and pebbled beaches, making it a dream destination for yacht travel. Venture ashore to explore the region’s lush natural landscape, rich cultural legacy, and Croatian hospitality. 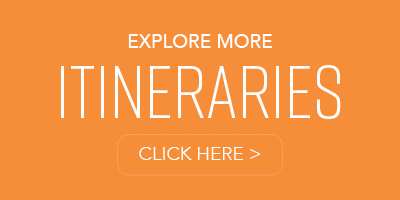 With an eclectic mix of activities and experiences on offer, this itinerary is equal parts adventurous and serene. Meet your luxury charter at Porto Montenegro in Tivat, located in the gorgeous UNESCO-protected Bay of Kotor. 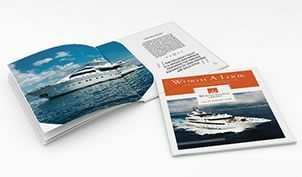 This world-class, full-service marina has several fine dining establishments on site, as well as a luxury spa, an exclusive beach club, and a selection of high-end boutique shops. 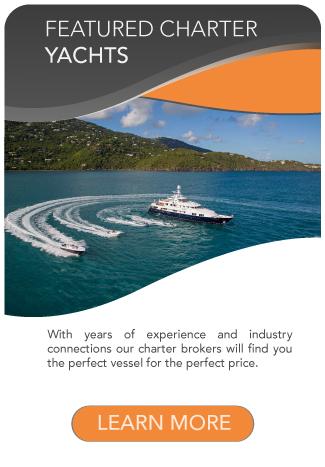 Sip a cocktail and enjoy a meal on shore before settling on board your yacht and embarking on your voyage. As you cruise the mirror-calm, stunningly beautiful Bay of Kotor, stop-off along the way and make use of the yacht’s water toys to lounge, float, and splash around in some of the most crystal-clear, glistening waters you’ll ever see. 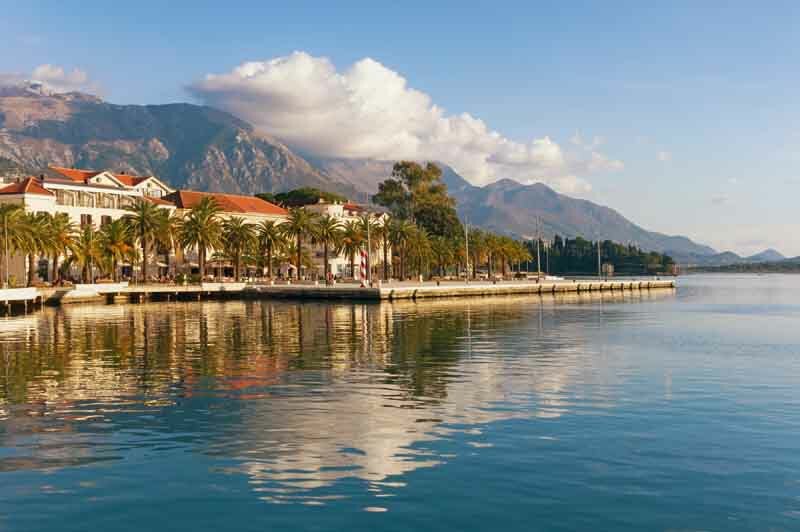 Arrive in the town of Kotor and venture ashore to explore the ancient town and wander the narrow streets. Nestled between mountains, this historical city features medieval architecture, Roman palaces, and charming local cafes. Your captain will make way north towards Dubrovnik in Croatia. With so many enticing harbors along the way, consider a stopover to enjoy a meal and take in the scenery while passing through. Upon approach to Dubrovnik, you’ll experience an unmatched sense of awe when your eyes meet the mesmerizing beauty of this primeval town.As you walk along the ancient city, you may recognize the walls that protected the civilization for centuries as the backdrop of the modern-day series, Game of Thrones. Set off from Dubrovnik and head for the island of Korcula. With a myriad of bays, inlets, and coves along the jaunt, find a secluded spot to drop anchor and absorb the serenity and peace around you. 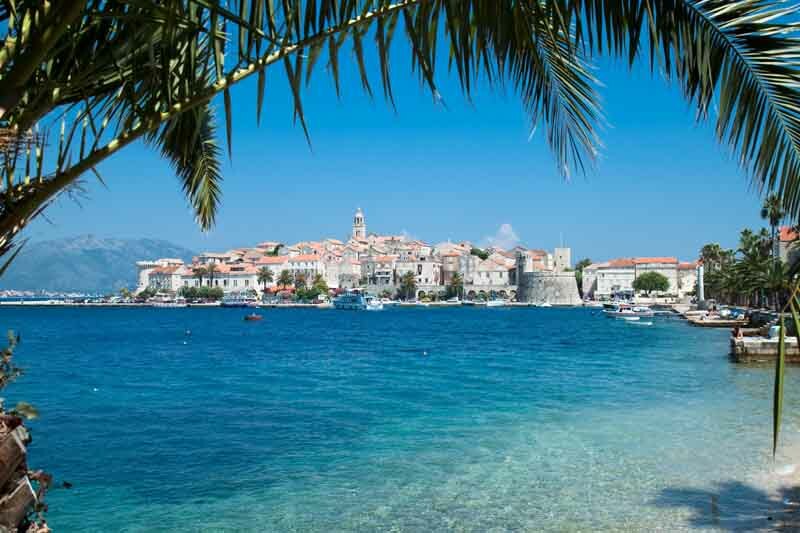 Continue on and arrive in Korcula, a land rich with vineyards and olive groves, quaint villages, and ancient history. Venture ashore and set out to explore the legendary Marco Polo museum, as well as the house where he’s said to have been born. 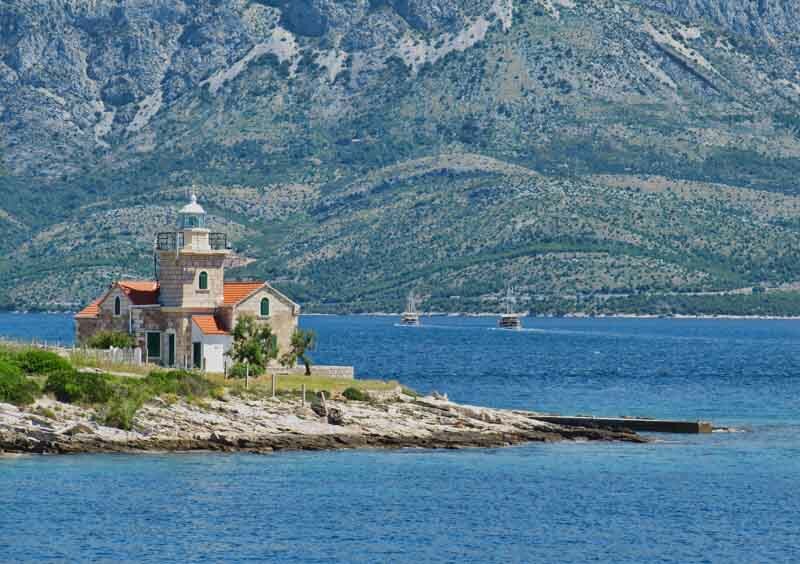 Set sail from Korcula towards the island of Hvar, anchoring off at your choice of numerous inlets and bays as you cruise the Adriatic. The interior of the island is hilly and dense with olive groves, while the shoreline offers gorgeous, sunny beaches and intimate coves to explore. This posh city is knownfor its ornamental Gothic palaces, cobbled streets, and exhilarating nightlife. With its old-world glamour and modern elegance, Hvar offers an eclectic mix that’s sure to suit every taste. After taking it all in, return to the respite of your yacht and relax with a cocktail on deck. Before arriving in Split, take some time to stop at the postcard-perfect Pakleni islands for some blissful tranquility. 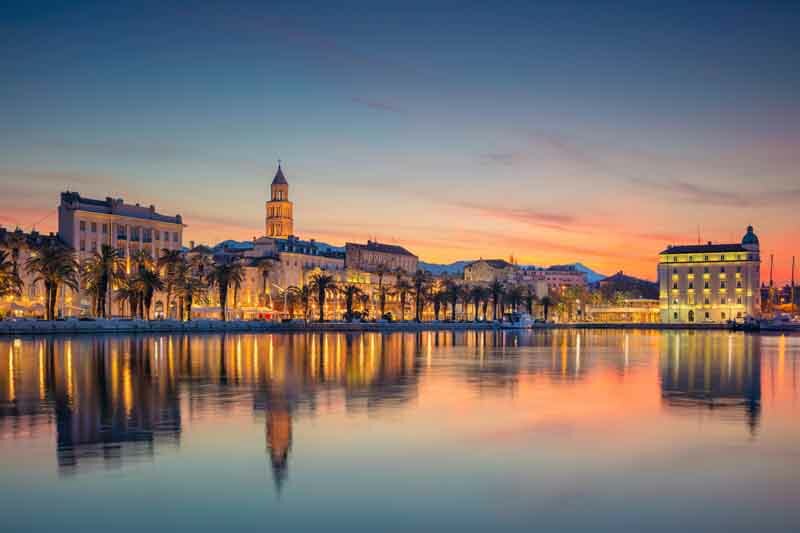 The second largest city in Croatia, Split is an exuberant hot-spot that’s always buzzing with the Dalmation Life as it’s meant to be lived. 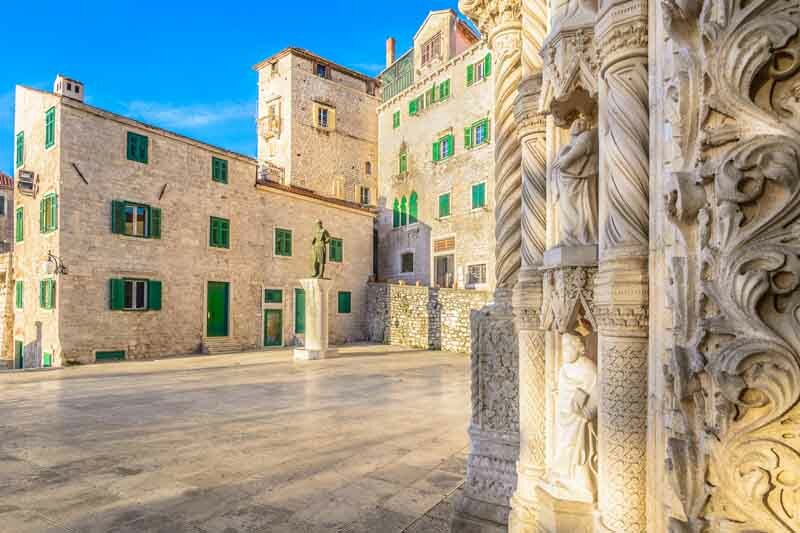 Visit the Diocletian’s Palace, a UNESCO World Heritage Site that’s one of the most impressive Roman monuments in history. With dozens of bars, restaurants, and shops on offer, your experience here will be steeped in historic ambiance mixed with modern flair. The perfect finale to your memorable journey. 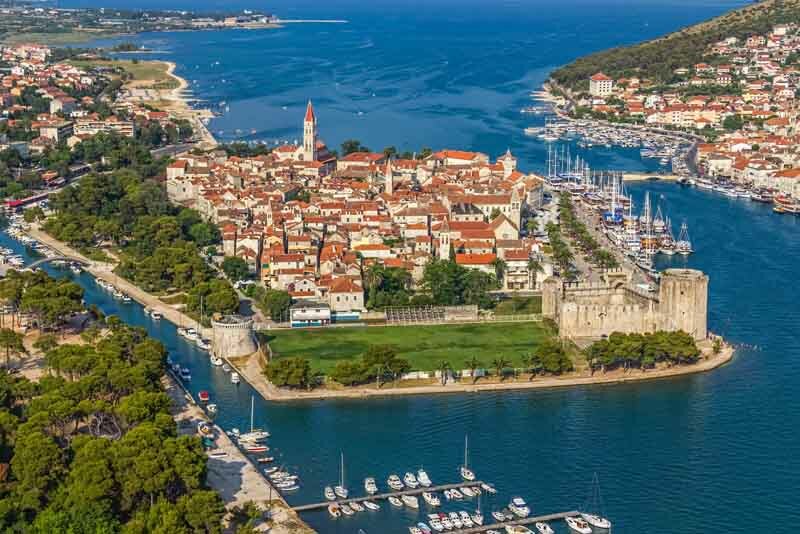 Cruise to Trogir, a tiny island flanked by medieval walls with bridges connecting to the larger island of Čiovo. The historic town of Trogir is rich with intricately sculpted Venetian architecture, elaborate churches, ancient towers, and fortresses. Stroll the seaside promenade, a well-known hotspot lined with bars, cafés, and yachts. Šibenik, the most protected natural harbor in the eastern Adriatic Sea. 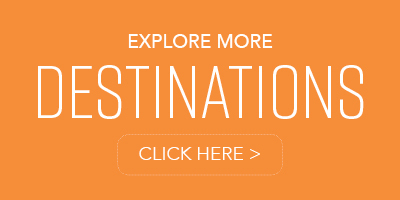 Must-see attractions include the 15th-Century Cathedral of St. James, sculpted entirely of stone, and Fortress St. Nicholas, the legendary triangular-shaped fortress that has been guarding the city for centuries. This lovely island offers gorgeous bays and coves with blissfully uncrowded pebbled beaches on its southern end, perfect for yacht travelers looking for a secluded, quiet sojourn. Maslinica is the island’s prettiest village, with seven islets offshore, a handful of restaurants, and breathtaking scenery everywhere you look. 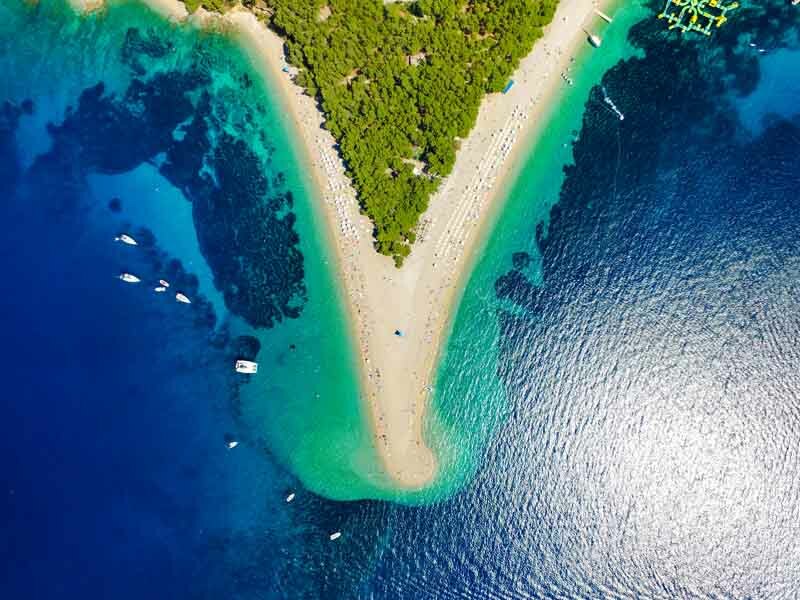 The island of Brac is best known for its white-pebble beach, Zlatni Rat (Golden Cape), a narrow beach peninsula off the coast of Bol with a unique shape that’s ever-changing with the wind, waves, and currents. Seaside Pučišća boasts old world architecture and an active quarry for the island’s famous white limestone, used in the construction of many of the world’s buildings, including America’s White House. Thanks to favorable winds and calm waters, Brac is a popular destination for paddle boarding and kayaking, and windsurfing. Laid-back and serene, Vis offers some of the best beaches in all of Croatia. Here you’ll enjoy placid turquoise waters and a protected underwater haven rich with sunken ships, an oasis for snorkeling and diving amidst magical marine life. 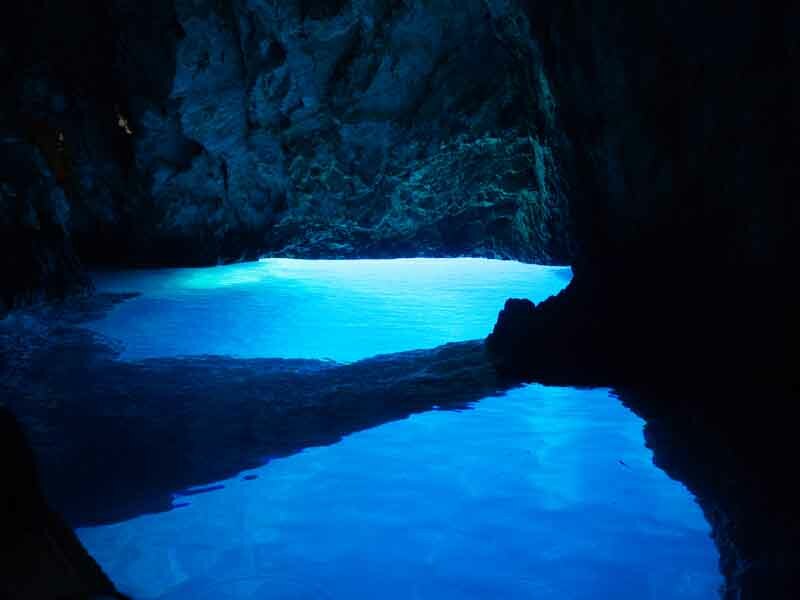 One attraction not to be missed is the Blue Grotto on Bisevo Island. Isolated beaches offer peaceful solitude for leisure-seekers, while the historic medieval cities of Vis and Komiža are perfect spots to head ashore and explore. Set sail for the island of Lastovo, the most remote of all the Croatian islands. Lastovo is known for its untouched natural beauty and blissful solitude, and with so many secluded inlets and cays, it’s an idyllic spot anchor out and enjoy a private picnic on the beach prepared by your chef. 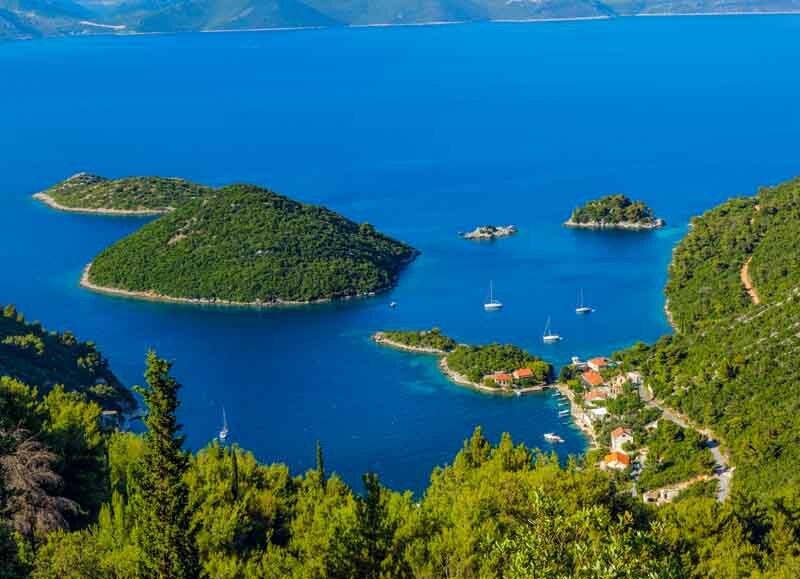 Skrivena Luka (meaning hidden port) on the southern end is one of the most beautiful inlets on the island, offering a stunning protected anchorage with gorgeous views. CLIMATE: The average summer coastal temperature in Montenegro is 81°F(27°C) from July to August. May to June and August to September you can expect an average of 69°F (20°C). The winter season is cold on an average of 44°F (7°C) from November to April. 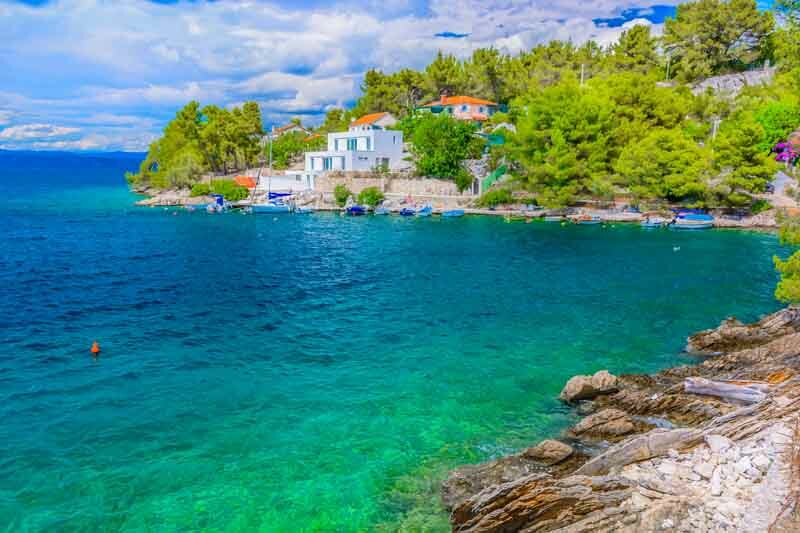 Croatia’s average coastal temperatures during the summer should lie in the mid-to-high 77-86°F (25-30 °C) although it is more likely that temperatures will be well into the high 80s or low 90s °F (+30s °C). The winters are cooler although temperatures usually never get below 41°F (5°C).